Special Note: Ultra Petite Dot is also available in rooted colors at slightly higher price. See separate listing under Ultra Petite Dot Rooted. 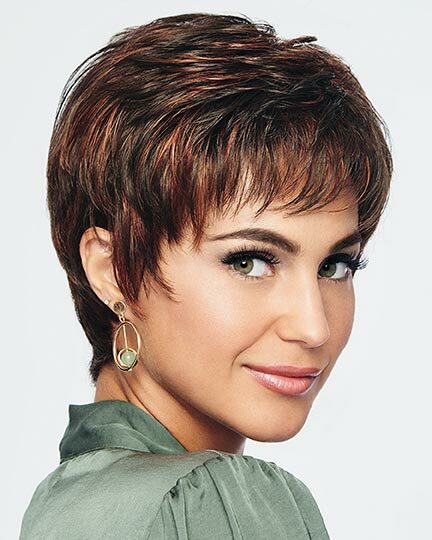 Bangs: 3.0", Nape: 2.0", Sides: 3.0"- 3.25", Crown: 3.0" - 3.25", Overall: 10.0"
Ultra Petite Dot by Tony of Beverly is a versatile short layered style face framing bangs that can be worn dramatically spiked up, simply smooth, or naturally finger tousled. 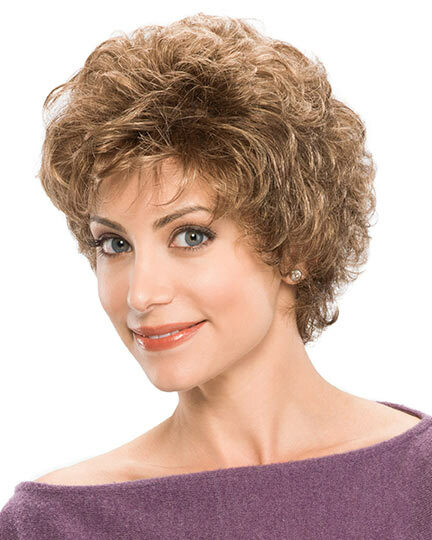 Available in an ultra petite cap with an 18" circumference, Ultra Petite Dot wigs comfortably fit petite ladies and children. NOTE: Ultra Petite Dot is shown in the rooted color, Rooted Vanilla. We do not have an image of Ultra Petite Dot in a regular color. 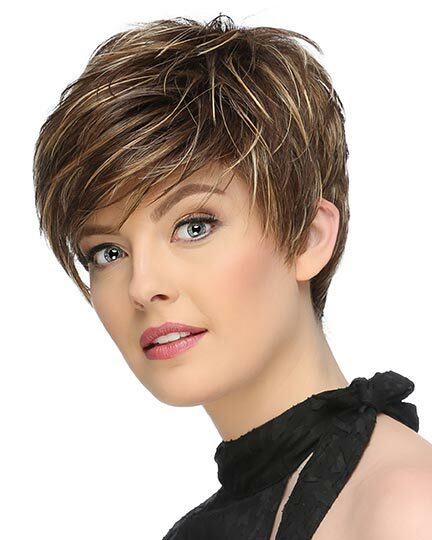 Ultra Petite Dot has EluraBlend Fiber, Tony of Beverly's base synthetic hair made from an exclusive blend of modacrylic fibers that offer high durability and style memory. The EluraBlend fiber achieves amazing color and tint blends across a wide spectrum. 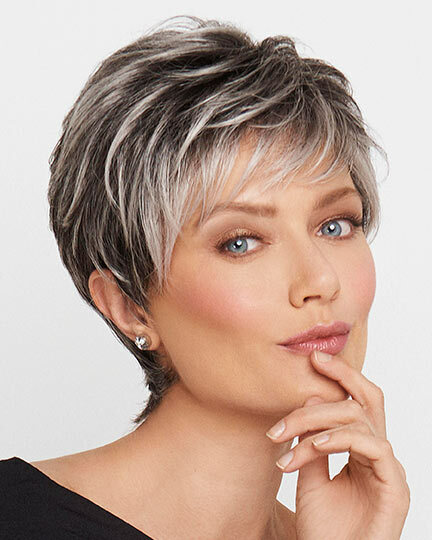 Tony of Beverly Ultra Petite Dot wigs feature a light weight, durable open cap HarpCap UltimateFit construction. 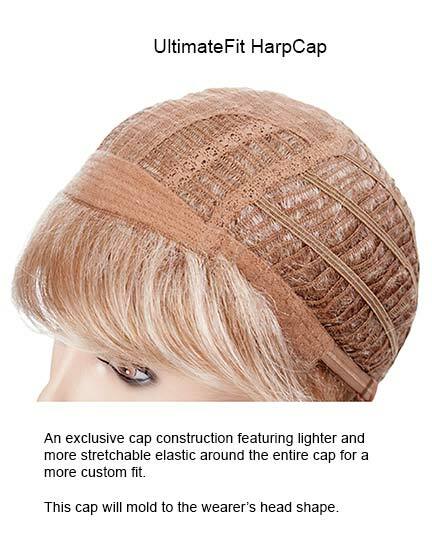 When lighter, airy styles such as Ultra Petite Dot are desired, this exclusive cap design is used. 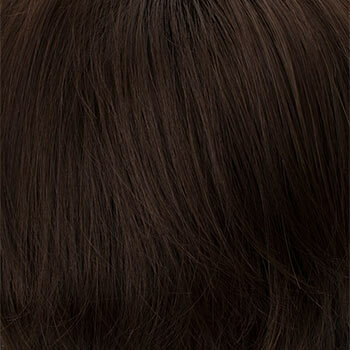 Note that the wefting is attached to a smaller contoured lace material at the crown. 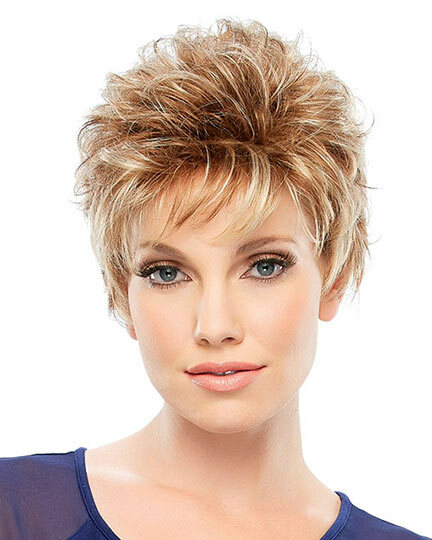 The Ultra Petite Dot wig weighs 51 grams. 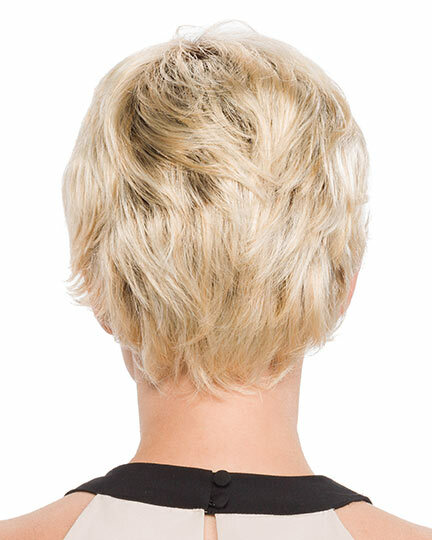 There are 1 colors available for this SPECIAL PRICE on Ultra Petite Dot. To Buy Ultra Petite Dot, Click On A Small Swatch Below. 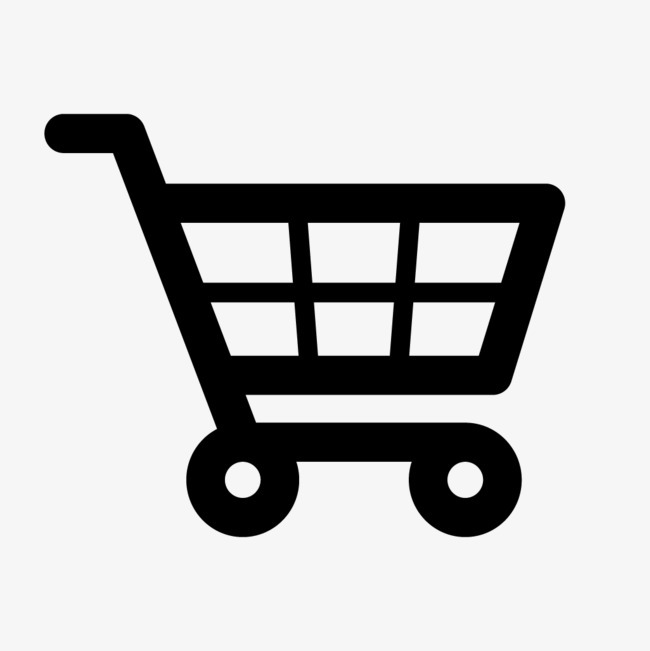 If you would like to discover other products that share some of Ultra Petite Dot's qualities try the links below. Very pleased with agent, service and product. 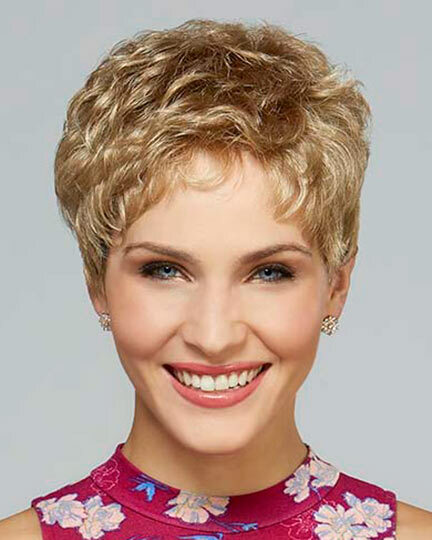 There are few style options for ultra petite cap wigs so I'm pretty much confined to but a few choices. This being said, I settled for Ultra Petite Dot by Tony of Beverly. 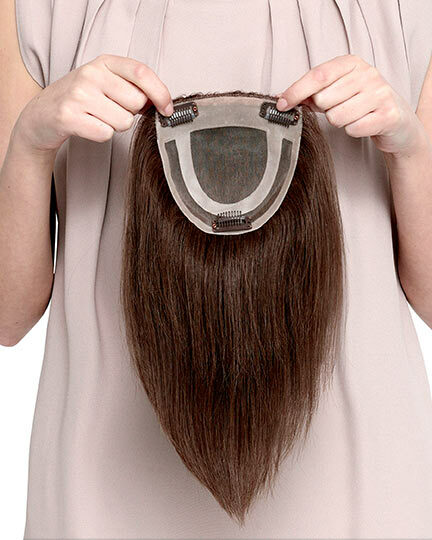 The wig fits comfortably but has a strong chemical odor. I hope that it will be eliminated by exposure to the air. Somehow I do not believe that will happen.